Choosing a vacation rental company to work with in marketing and managing your investment property is an important decision. It can be a challenge knowing what questions to ask if you are unfamiliar with the Big Bear area and market, typical procedures, city and county rental regulations, and so on. Here are 15 important questions to ask when interviewing a potential vacation rental management company. The number one question is, of course, “what are the fees and commissions charged by the management company?” Commissions are typically based on a percentage of nightly rents collected. What other fees are associated with marketing, cleaning, and maintaining my investment property? 2. 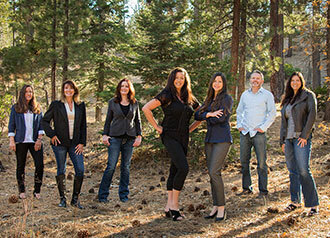 What sets the vacation rental company apart from the others? What is their unique value proposition? Do they have 5-star reviews? Are they the best at marketing? Are they best at cleaning and maintenance? Listen closely to what they emphasize and also to what is not mentioned. 3. How are your reviews? Reviews are imperative in this day and age. Positive reviews will drive bookings, especially on platforms such as Airbnb and VRBO. How does the company respond to negative reviews? How does the company circumvent negative reviews to begin with? 4. How do you get my property booked? What methods does the management company utilize to market your home and get bookings? Online and print advertising? Are they easily found by search engines? What incentives or deals are offered, if any? For example, book two nights and get the third night free? What can I do to help get more bookings? 5. How do you keep my home clean and how well do you keep an eye on it? Cleanliness is key. The majority of negative reviews come from renters of dirty houses. What is the cleaning procedure for the home? Are cleanings audited? During peak seasons, housekeepers may only have the 3-4 hour window in between back-to-back bookings to get a home back in shape. Does your company block out a day during peak times to allow for a more thorough cleaning? Furthermore, does the company have an opening and closing procedure? An “opener” is typically the person that comes through to audit the cleaning, test for hot water, make sure the hot tub is on and running, check lightbulbs, batteries, cable and internet connection, and so on. When guests depart after their stay, someone needs to come through to make sure lights are turned off, heating is adjusted properly, doors and windows are locked, and of course, check for any damages. Most companies have some kind of procedure for this, since otherwise your front door may be left wide open with the heater on 85. How long does it take before a “closer” comes through to inspect the property? 6. What policies are in place for when damages occur? Accidents happen. Does the rental company collect a security deposit? What about pet deposits (if you opt to allow pets into your home)? Some companies will market your home on Airbnb, VRBO, and other third party websites that have their own security deposit policies and methods. How lenient is the company with damages? Do they automatically charge the guest for every little scratch? Though this approach may be good for the owner, it isn’t great for the guests. Wear and tear is to be expected and happens over the course of many bookings. Holding guests responsible for the little things and charging them for it leaves a negative impression with the guest and may not lead to repeat bookings with your home or the company. Some companies may expect you to fix and pay for damages that were not caught during inspection, some companies may split the cost with you, and some companies may have a “fund” set aside for this. 7. How does the company manage snow removal? Do they have you contract with a third party vendor for snow removal (plowing the driveway, shoveling a path to the front door, stairs, etc.)? Does the company have their own equipment? What are the costs? 8. How is the hot tub maintained? Hot tubs need to be serviced often, usually weekly, or in between bookings to ensure cleanliness. Does your rental company service hot tubs directly or do they have you contract with a third party vendor? If they do not clean the hot tub directly, who do they recommend or refer? What happens if the hot tub breaks? Do you make sure the hot tub is on and running prior to the guests arrival? 9. How do you handle maintenance and service calls? Maintenance and customer service is key. Aside from cleanliness, guests expect a home that functions and operates. Processes should be in place to ensure that the home is up to snuff for the next guest, but often something gets overlooked. Light bulbs burn out, batteries die, appliances stop working. Keeping guests happy is paramount, as it leads to repeat business and glowing reviews. Most rental companies will have “maintenance technicians” they will send out when an issue arises. Guests will call in with varying problems. Most of the time, the representative answering the phone will try to troubleshoot the issue without sending someone out. It’s not uncommon for a service call to be placed and a representative to be sent to the property to fix something. What is the cost associated with the service call? Will your management company keep the guest happy or try to save on costs and let the guests figure it out for themselves? What is the process for fixing something with a larger cost or involving the service of a licensed professional? 10. What supplies does the rental company typically provide for guests? Supplies and amenities are usually part of the package deal. Guests need things like sponges, paper towels, hand soap, dish soap, and toilet paper in order to make their stay more comfortable. What about body soap and shampoo? Not all companies are equal in this respect. Some companies will provide the bare necessities and others will go above and beyond with a gift basket. The range of supplies does not necessarily indicate a better or worse quality rental company, it’s just a matter of cost and management for the company and owner. 11. How do you ensure that my cabin is legal? Code compliance – what is it anyway? This is twofold. First, your Big Bear investment property will either lie within the rental ordinances governed by the City of Big Bear Lake or by the County of San Bernardino. The rules between the two are similar but have some important differences. Your Realtor should be well aware of the rules. The BigBearRealEstate.com team specializes in this area. Most all management companies will help guide you through the process of getting your home up to code and inspected. Inspections cost money, so do you pay for this or does your company? What about the other items required to pass inspection? Examples of required items are fire extinguishers, smoke detectors, and emergency exit lights. Most of these items can be provided by the rental company for a fee. Code compliance in action: Your home will have an occupancy limit. If the guests go over occupancy, what is the protocol? If the guests are loud and a neighbor calls in to complain, what is the procedure? Are guests evicted for inappropriate behavior or over-occupancy? Or will their security deposit be forfeited? Per code regulations, a representative from the company is supposed to be on call 24/7 to attend to such matters. It’s not optional, it’s the law! 12. How will we communicate? Communication is important in any relationship. Will you, the owner, have one point of contact at the company for every question and concern? What departments are in place and who will you need to contact for various items? Set expectations in the beginning between you and the management company. When your expectations are not met (inevitably you will have some sort of issue), how will it be resolved? What will the company do to make things right? You will thank yourself for having this conversation sooner rather than later. 13. What about the contract? Are there any special terms you should be aware of? Read through it carefully and ask questions. What if you’ve decided you’ve had enough and want to quit using the company? Make sure you are clear about the terms of your agreement. 14. What about when I want to use the cabin myself? What is the process for blocking out a few nights for when you want to come use the house yourself? Is there a cost associated with using your own home? What about cleaning after your stay? Do you have the option of paying for a housekeeper to tidy up after an owner booking, and at what cost? 15. How and when will I be paid? Lastly, how will you expect to get paid? Will the company mail you checks or do they offer direct deposit? How often are payments issued? You want to make sure to collect after all your hard work! 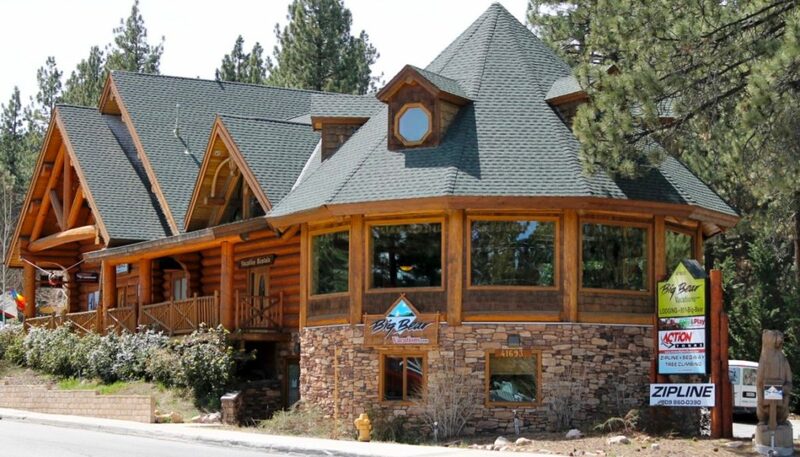 For more information on what costs are associated with owning, managing, and maintaining a vacation rental cabin in Big Bear, click here.